Tulane’s position in southern Louisiana presents unparalleled opportunities to pursue research questions of both broader ecological relevance and considerable local interest. The Gulf of Mexico remains an imperiled region as a variety of natural and anthropogenic effects continually threaten to degrade the marine ecosystem. While recent management efforts have helped to slow these declines, more integrative work is necessary in order to understand how this wide variety of ecological processes affect the rich community found along the Gulf coast. Within the New Orleans city limits, residents and city officials struggle to respond to a suite of environmental challenges, both natural and man-made. One particular point of concern is lead, a dangerous contaminant that has been shown to have substantial negative impacts on humans in New Orleans and other U.S. cities, but whose effects on wildlife are less well understood. 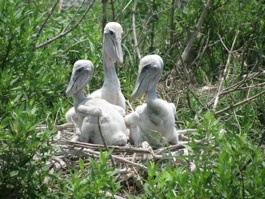 Our current Gulf coast research is focused on the foraging ecology of the brown pelican (Pelecanus occidentalis), an iconic symbol of the Gulf and a top predator that presents a valuable opportunity to explore applied questions as well as those with broader implications for behavioral ecology. 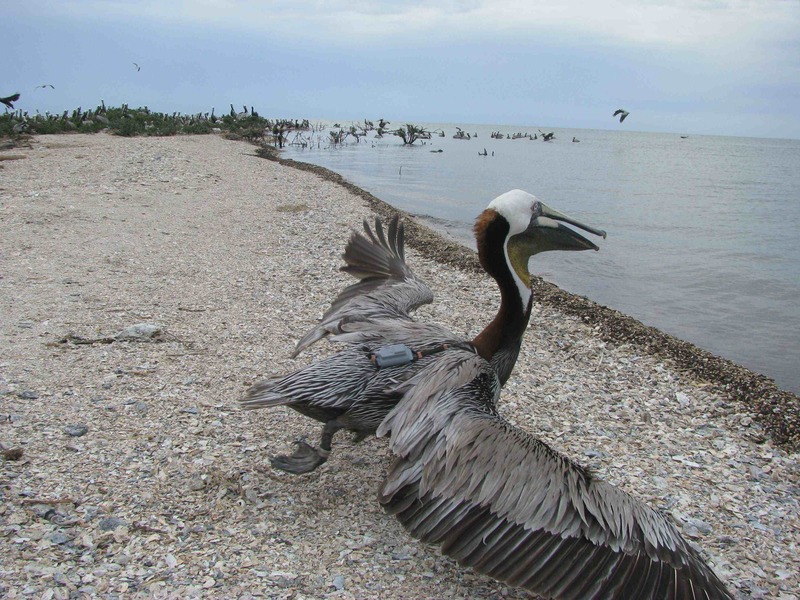 In collaboration with Dr. Paul Leberg from the University of Louisiana at Lafayette, doctoral student Brock Geary is using GPS telemetry to collect high-resolution movement and foraging data to better understand how individuals modify foraging behaviors during the demanding breeding season, and how these different ‘strategies’ may allow individuals to weather the effects of environmental instability. Future work will also link our findings with current restoration efforts to promote connectivity between foraging and breeding habitats, ensuring the maintenance of productive communities in this commercially, recreationally, and biologically vital region. 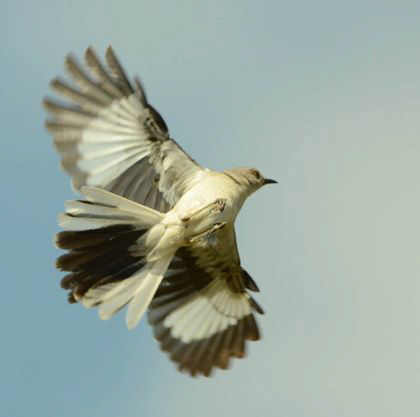 Closer to home, in the urban New Orleans neighborhoods surrounding Tulane University, we are assessing how exposure to lead impacts health and behavior of an iconic songbird, the northern mockingbird Mimus polyglottos. This work is conducted in collaboration with Dr. Renata Ribeiro and Dr. Howard Mielke, both of Tulane. Work on other systems has demonstrated that exposure to high levels of lead can be lethal for wildlife, but few have explored the consequences of chronic, sub-lethal exposure that is more typical of urban wildlife and pets. 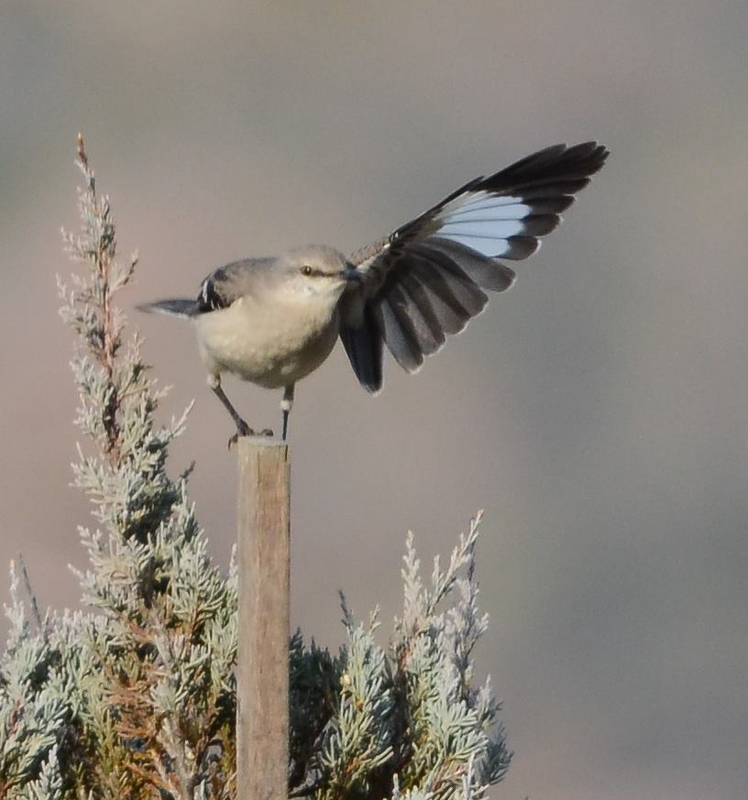 Our Pilot work suggests that lead levels in mockingbird adults, nestlings and eggs may be correlated with environmental lead, and that higher lead levels are associated with hyper-aggressive behavior. We are building on these preliminary results by characterizing pathways of lead uptake and relating concentrations in blood and tissue across seasons and developmental stages to physiological condition, aggressive behavior and reproductive success. This work is in early stages, but is likely to have important implications for pet owners, veterinarians, and professionals that manage urban wildlife.